What is peer-to-peer solar energy trading? How is it regulated? What is Blockchain? Does it make economic sense? This guide provides an overview of all that you need to know. Peer-to-peer solar energy is a logical development in the new economy which see things such as housing (AirBnB), cars (CarNextDoor) and loans go from person to person rather than a large commercial enterprise to consumer. 1. Can users choose their energy source or destination? A new idea is that electricity is a commodity. For example, an electron is an electron regardless of its source (coal, solar) and its ability to power devices at home. People can choose how they use it and who they do business with. 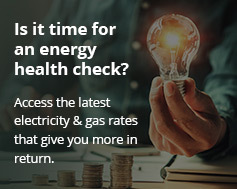 Consumers can do this because the NEM (National Electricity Market) is a wholesale electricity market. Generators sell electricity and retailers buy it to on-sell to consumers. Therefore, it’s highly competitive. It’s an efficient way of maintaining relatively competitive electricity prices in the wholesale market. The financial market sits alongside the NEM. It involves retailers and generators making deals to buy and sell electricity. In other words: who wants to be a passive consumer subject to market rules? As new technologies emerge, householders identify potential sellers or buyers. This is already happening. Think of sites like Gumtree and eBay where users trade with others on their own terms. There are other benefits to the market and banking and lending are changing too. There is p2p lending via such companies as Ratesetter. This is the practice of lending money to individuals or businesses through online services that match lenders with borrowers. 2. Can you set the terms for peer-to-peer solar energy? For a program to fit the definition of ‘peer-to-peer solar energy’, users setting their own terms is the main benefit. The most important one is price. Consumers set their price limit for no more than 20c/kWh from any source. In this case, any producer may choose to sell electricity at that rate, or less. However, users will have to fall back to higher rates if there are no sellers. For effective p2p solar electricity trading, those taking part agree on when and how much electricity they deliver. These agreements may be for one-off, instant transactions or longer-term agreements made over weeks, months or even years. 3. Are you treated differently because you are smaller – or bigger? In p2p energy trading, the size as a generator or consumer is not important. To be on the National Electricity Market, households must have a generator no smaller than 5 megawatts – about 5,000x 5kW solar systems. Obviously, this is out of the question for the average home owner. However, in p2p trading, everyone from a 1.5kW solar system homeowner or the biggest coal-fired power plant can engage in peer-to-peer solar energy depending on which software or technology is used to participate in the market, e.g. Reposit Power. 4. What is Blockchain? How does it relate to p2p? Blockchain allows digital information to be shared but not copied. Think of it like thousands of shared spreadsheets. Originally devised for the crytocurrency Bitcoin, the information is public so no one can hack it. Many contracts for power or gas can get complicated. Traders call each other, send emails, or use an instant messenger. This is a time-consuming process. With Blockchain technologies users just place a bid on the blockchain and let sellers turn it into a trade. Or vice versa. Basically, Blockchain is more efficient and transparent. While the idea of a Blockchain is old, its use to regulate energy in Australia is relatively new. Companies such as AGL and startups such as Power Ledger have invested in the technology to varying degrees with limited releases or little backing. With the rise of distributed energy resources (DERs) more and more consumers are becoming “prosumers”. They produce their own electricity, sell it and store it using battery technology. This reduces congestion on distribution lines and helps promote the balance of energy. A smart grid helps a prosumer. It cleverly brings users together to create a streamlined energy delivery system. It uses innovative products and services with intelligent monitoring, control, communication and self-healing technologies. Without this form of grid, peer-to-peer trading cannot work well. A report by Roy, Bruce and MacGill (2016) found that peer-to-peer solar energy trading has considerable promise to generate benefits for both customers with solar PV systems and customers. A number of trials and projects on p2p energy trading have been carried out in recent years. Some of them focus on business models and platform for energy markets acting similarly to the supplier’s role in the electricity sector. Others are targeted at the local control and ICT systems for microgrids. Hooking solar and batteries up to this system creates a Virtual Power Plant (or VPP). This means that when there is a grid power shortage, you can supply the energy to companies for a premium. The Australian Renewable Energy Agency (ARENA) is supporting a new pilot trial for power-trading between neighbours. It uses blockchain to help households and business to trade or share power with one another. AGL Energy Limited (AGL) is leading the project to evaluate a virtual trial at Melbourne homes. It mixes solar panels, batteries to store electricity, and ‘smart’ air conditioning. AGL and ARENA are using Blockchain technology to allow households and businesses to trade or share locally generated power with each other. The trials are in Melbourne, reports the NewEconomy site. The virtual trial will mix batteries, solar panels and ‘smart’ air conditioning at Melbourne homes to see where the best value in peer-to-peer energy markets lie. They will also look at how blockchain technology works best in the process. The Australian Renewable Energy Agency is providing $120,000 to support the $293,800 virtual trial. It will see how peer-to-peer solar energy trading might affect markets, and how the market could be further developed. What is currently being offered? Funded by ARENA, the deX will create an open marketplace for the value of energy generated by solar panels and stored in batteries. This is traded between consumers, businesses, communities and network utilities. Basically, deX will allow households and businesses to generate renewable energy to reduce their demand on the grid by using technologies like battery storage during peak times. A different approach is provided by German battery system maker Sonnen. It is revolutionizing the electricity delivery model. SonnenFlat combines all the benefits and opportunities associated with distributed battery storage e.g. solar self-consumption, energy self-sufficiency, p2p. It uses smart software to bring solutions to both households and the different parts of the electricity sector. The program relies on controlling energy from its customers to create a virtual plant, a real alternative to the grid. To conclude, as new technologies emerge, customers can find more ways to free themselves from utility rising prices and gain access new ways to save. Solar customers and battery storage customers are best positioned to be leading this new digital era revolution by embracing peer-to-peer solar energy trading.